I want to share a project I made with the Pink Lemonade Card Kit from Paper Garden Projects. 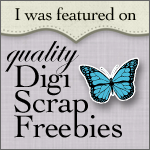 The kit contains patterned paper, matching cardstock, ribbon, and embellishments – all together for one low price. You can see the kit HERE. I love the cheery summer colors of this kit – and thought they would make a cute summer treat basket. The basket is made from a strip of 12″ wide paper. I included a template at the end of this post. I used my Threading Water border punch to add lots of flirty little scallops. I punched to top of the basket before I assembled it. I also punched both sides of the handle and a green cardstock strip decoration. I made a gift card to go with my basket using my circle and scalloped circle Nestibility dies. The card is made by placing folded cardstock just inside a few of the scallops and cutting both layers together. 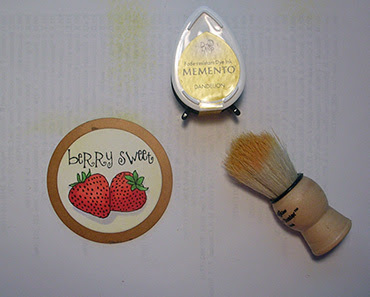 The stamps are from Odd Bird Planet – I love those strawberries and that saying. I colored the strawberries with my Copic Markers (R-14, R-27, YG-03, YG-63) and added the shadow with B-60. This template is actually for a treat box that is pretty tall. 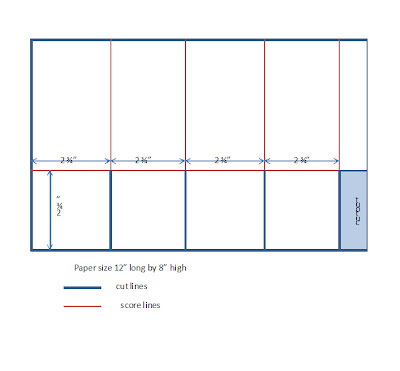 I wanted my basket shorter so my starting paper size was 12″ x 6″ instead of 12″x8″. These boxes and baskets are really fun to make! This entry was posted in Tutorials and Quick Tips and tagged border punches, boxes, Copic Markers, odd bird planet on July 17, 2008 by Cathy. This is so nice!! Really a neat basket/card. Just dropped by to say Hello. and I found that you have been up to some really creative things. 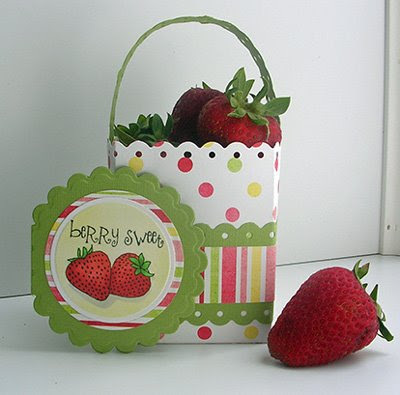 The scalloped card w/ the strawberries on it is beatiful along w/ the basket or container that you made. Love those colors. so summery looking. Wow. Great job with the Copics on those strawberries. They look so realistic. Oops! I never did get around to doing that challenge about 2 weeks ago! YIKES…where does time go?! I plan to play again sometime….for true!! I love your little scallopy basket and card….so cute!! This looks very wonderful. Lovely basket!